We often hear the famous hadith that purification is half of faith. Correct purification and ablutions are the keys to prayer, because without purification, our prayers would be invalid. Can you imagine someone who has been praying for years without learning the correct method of ablutions, (wudu), or bathing, (ghusl); there is a strong possibility that their prayers are invalid. This Day Seminar is a comprehensive way to learn everything you need to know about purification; from wudu, wiping on bandages, and ghusl to personal cleanliness. Understanding the importance of purification in Islam. Understanding purification as a pre-requisite for worship. Understanding the spiritual implications of ablution. Understanding a range of core issues related to wudu, ghusl and impurities. The fundamentals of ritual ablution, bathing, and dry ablution. Correct etiquettes of purification based on Prophetic teachings. Different types of impurities and how to correctly cleanse them. How to avoid common mistakes pertaining to purification. Explain the core fundamentals for ablutions to be valid. Describe the sunnah method of making ablutions and bathing. Explain which factors necessitate bathing. Explain how to make ablutions during an illness. Explain a variety of other issues related to purification. 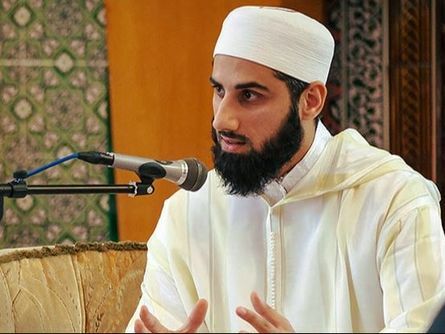 Shaykh Waseem is the chairperson for ISNAD Institute and Director of the community initiative, Guidance Hub. He spent 6 years in Damascus, Syria, studying the Islamic sciences with scholars in public and private classes as well as graduating from Al-Dawli Institute in 2012.